I’m almost two weeks delinquent in getting new pages to my writer’s group, so I’m sitting here (obviously not doing what I’m supposed to be doing) thinking…do I give them pages from 3/4 of the way through my current project? That would mean having to explain all of the stuff that happened before the 70,000 word mark or nothing that they read will make sense. 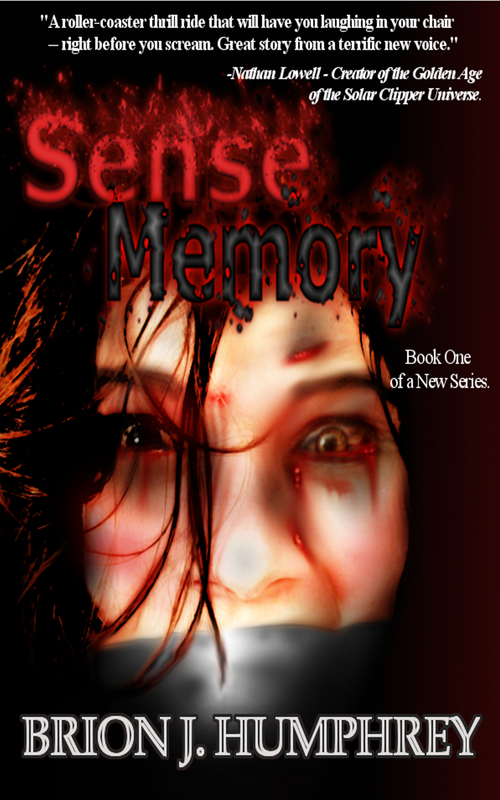 Do I write chapter one of the sequel to Sense Memory, bringing them in at the beginning of a new work, where instead of having to explaining the backstory that I don’t already infuse in the chapter, I just say…well, read the first book. Which gets me six additional sales in the process. Is that smarmy? I offered to give them free copies and they said no. I love my writer’s group. So, I am sitting in the dark, listening to the ocean sound machine in the other room that’s lulling my son to sleep, frothing at the mouth, and getting ready to write the first word, of the first chapter, of the second book in the Benjamin Cady Series. ← The Audio Version has Arrived!!! I’m so happy!!!! I’ve read the first one twice now, and listened once and must feed my habit soon. So go write! Some more!